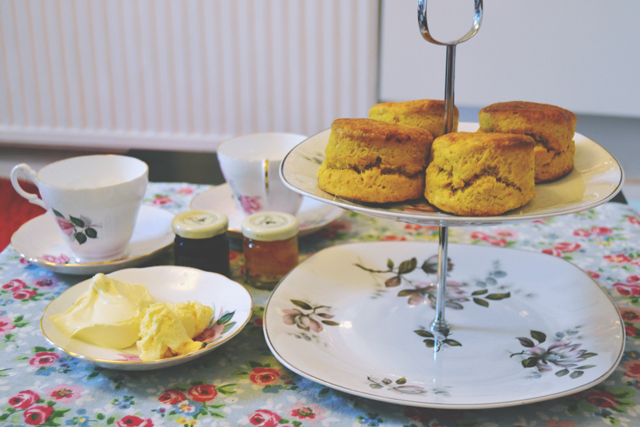 Is there anything better than afternoon tea on a Sunday? No. No there's not. Except maybe for an afternoon tea delivered straight to your door, which is exactly what happens with Sconnoisseur. 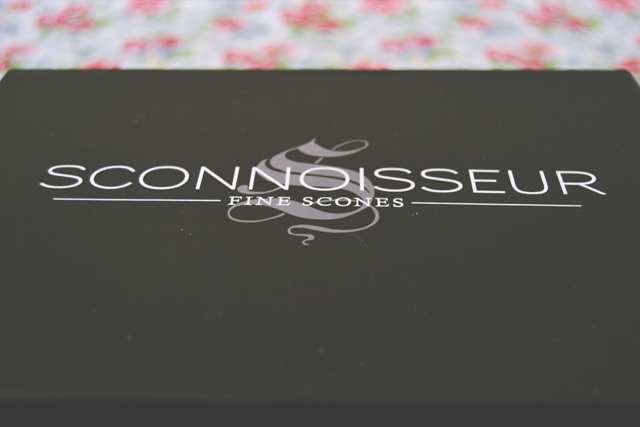 Sending boxes of delicious, freshly baked scones in a whole host of flavours, Sconnoisseur is the place to go for all your afternoon tea needs and, luckily for me, I was offered the chance to review one of their seasonal boxes. 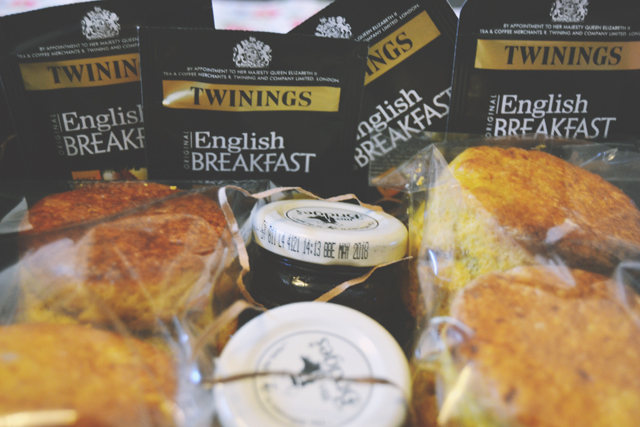 My (rather sophisticated, magnet-closure) box was carefully packaged with four pumpkin flavoured scones, along with four Twinings English Breakfast teabags, and a pot each of strawberry jam and orange marmalade. Having never tried more interestingly-flavoured scones like this, I was a little unsure of what to expect. However, the pumpkin flavour is subtle and not at all overwhelming. Instead, it perfectly complements the natural taste of the scones. It was interesting to see the slightly orange colour of the scones too, which obviously comes from the natural pumpkin ingredients. 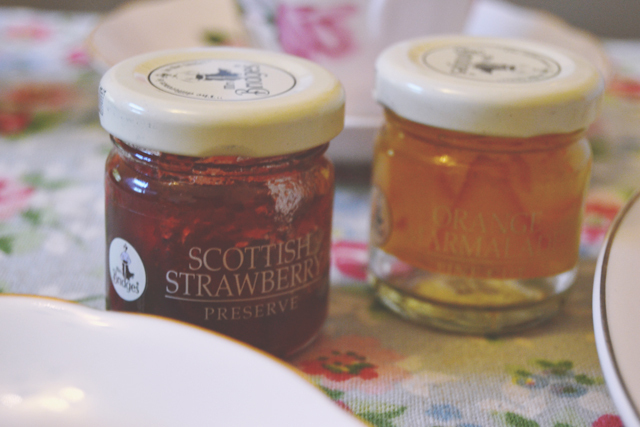 Both jam and marmalade had a jelly-like consistency, although not particularly thick, and each jar held enough to cover two scones thickly, although it could stretch to all four if you were a little more conservative with your spreading. It was certainly a fun, delicious novelty and one I'd be very happy to try again. I don't know about you, but I've got my eye on the dark chocolate and orange scones! As much as I like the idea... I'm just slightly skeptical of of fresh the scones must be, having been sent in the post. 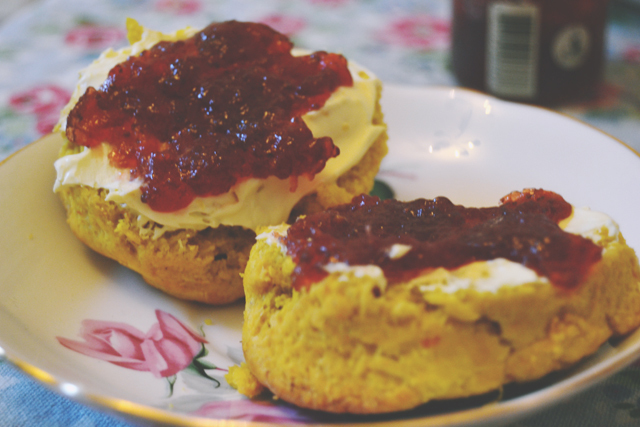 Scones are also so easy to make at home, even with slightly unusual flavours. This is a good point. They tasted lovely though and I'm definitely not a baking person so this a good solution for that! If only they'd be delivered direct to your bed! Oh my goodness me! I need to get me some of this now! What a great concept. Dark chocolate & orange scones do sound absolutely wonderful! I really like that brand of jam, we used to sell it in the garden centre I worked at. It sounds like the perfect scone combo! I NEED THIS IN MY LIFE OH DEAR LORD. Dark chocolate and orange scones sound delicious. I'm drooling. This is awkward because I'm in the library at university passionately typing about scones. I don't even care. I need scones. my stomach is growling! makes me wanna go to afternoon tea. sigh.